Hi! Just to let you know this is not the classroom -- follow the link I sent in confirmation mail and post your introduction there. Thanks! Hi Silvia ! I will love to participate to this class but I have some questions. I don’t really understand “long enough for two hits”, what’s mean hits ? 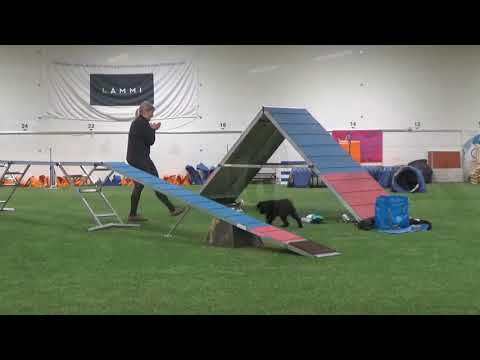 I don’t have a dog walk or a A frame unfortunately, I can use those of my agility club but just one per week (maybe 2 but not sure of that) and I don’t no if I will can use that who can adjust the level. I’m afraid to be limited. What do you thinks ? If you could get two planks, each 3.6-3.8m long, and attach them in the middle, that should allow you to do most of the work at home -- and then just finish it up on real DW. This is Bob Daigle with Lula. We were in RC Winter 2015. Lula is doing well now and I am considering giving the RC another try. She has a Running AF and 2o2o dog walk. 1. 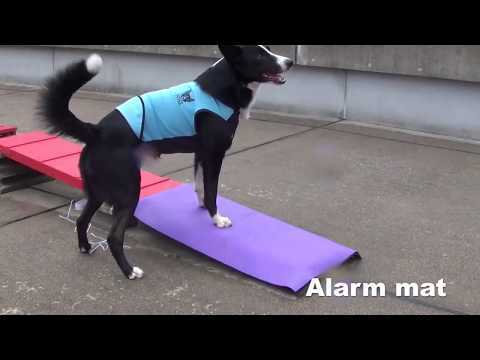 Should I consider retraining a Running Dog Walk and is it confusing for the dog? 2. My backyard is 72 feet long (22 meters) and about 25 feet wide (7.6 meters. 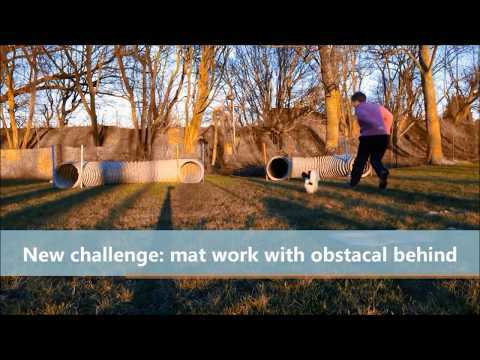 If I purchase a dog walk, is that enough space for training your method? I think that’s a great idea -- should be easy given how well she was running on that AF! You could keep 2on2off for collection exits as well -- not confusing at all. You can register as a repeater. You should have just enough space for DW yes. i’d like to partecipate to this class for the second time with the same dog but in advanced level. What is the right option? Partecipant or repeater? I will probably enter little Hopp again too, we still need to do some more advanced work 😉 Havent got many time to keep the practice going due to my job. is it ok if I kick in a little later? end of august? Need to work on turns now. No problem to join a little later! Looking forward to more of Hopp -- looks great already! 1. How many trainings per week we have do to get a good result? I don´t have a Dogwalk at home. 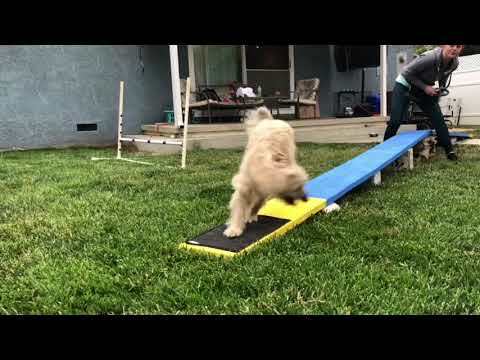 So for training I have to go to our agility Club. Because of my Job and my other dogs I can max. do this 2 times a week. 2. You wrote that the dog has to be 6 month. Peppino reach this age at the End of August. Do you think that he is to young? I don´t want to overstrain him. 1. It actually doesn’t matter, but of course, it can take a while to get there if not training regularly. Twice a week should probably do, but it would be great if you had a carpet or/and a plank at home as well, so you can do some more at home. Your club DW is probably not appropriate for flat use anyway. 2. Yes, that’s perfectly o.k. age to start, given he is small breed. Im so sorry but I definitely didn’t register correctly.. I paid for the running contacts class BEFPRE I entered my username and stuff in. Sorry!! Can you fix it? Or is there a way for me to access the classroom now? It can help you with clicking… -- but it’s not essential to have it, you can just click yourself! 🙂 Enjoy your vacations! Hi Sylvia -- I was planning to join this online class, but I will not be home to start training my dog until September…is that too late? That’s o.k., the class is on till end of November anyway, so still lots of time to catch up.